Obituary for Martha W. "Chub" (White) Beard | McIlvaine-Speakman Funeral Home LTD.
Martha W. “Chub” Beard, 91, of Washington formerly Hickory, passed away Saturday, December 1, 2018 in the Washington Hospital. She was born November 29, 1927 in Philadelphia, a daughter of John Thompson and Mary Lydia Downie White. Mrs. Beard was a 1945 graduate of Hickory High School and received her Bachelor of Arts degree in Education from Geneva College in 1949. Chub was a lifelong member of the Hickory United Evangelical Presbyterian Church in Hickory where she belonged to the choir and served as both a Deacon and Elder. For over 35 years, Mrs. Beard was employed by the Fort Cherry School District as an elementary teacher for grades 1 through 3, first at Hickory Elementary and then the Fort Cherry Elementary Center. 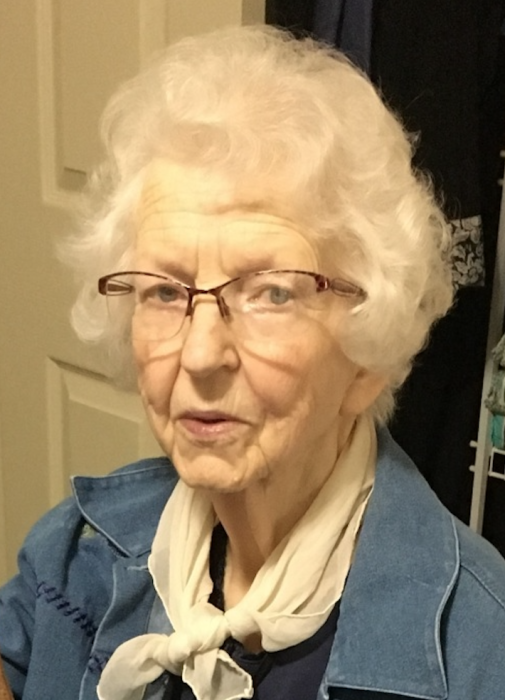 She had served as a officer for the Hickory Alumni Association and the Fort Cherry Teachers Association and she volunteered with the Meals on Wheels program in McDonald. Mrs. Beard was known for her homemade cinnamon rolls which were coveted Christmas gifts by her family and friends. On June 15, 1951, she married the love of her life, G. William “Bill” Beard who died December 29, 1968. Surviving are a daughter, Marty Snodgrass and her husband Richard of Pittsburgh; a sister, Ruth White of Washington, formerly Hickory; many cousins, nieces, nephews; and her Hickory church family. Deceased are a son, William Bruce Beard; a daughter, Lois Ruth Beard; and a sister Mary Vale Torrence. Friends will be received from 2 to 4 and 7 to 9 p.m. Tuesday, in the McIlvaine-Speakman Funeral Home Ltd., Robert K. McIlvaine, Owner/Supervisor, 27 Cherry Ave., Houston, PA 15342. Additional visitation will be held from 10 to 11:00 a.m., the time of service, Wednesday, December 5, 2018 in the Hickory United Evangelical Presbyterian Church, 210 Main Street, Hickory, PA 15340 with Lay Pastor Louis Templeton officiating. Interment will be private in Mt. Prospect Cemetery.